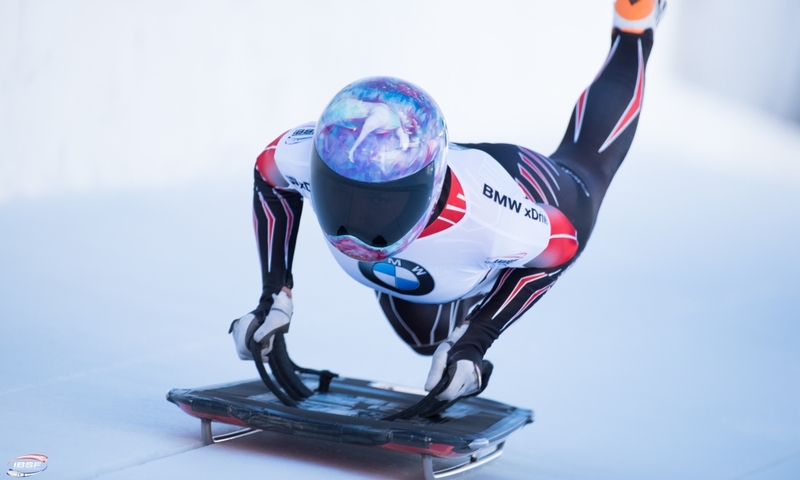 Calgary (RWH): The Olympic Champion in the 2-woman bobsleigh, Mariama Jamanka of Germany, has won the overall BMW IBSF World Cup rankings for the first time in her career. 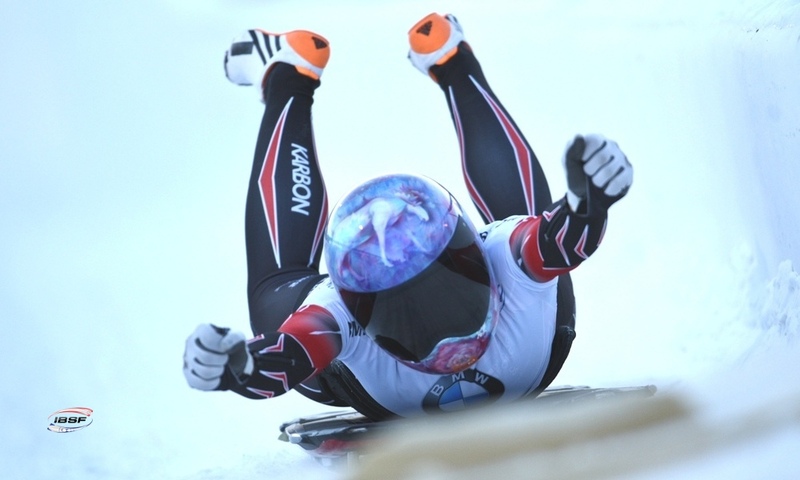 At the season finale in Calgary (CAN), Jamanka and her brakewoman Annika Drazek achieved their fourth win out of eight races, collecting 1712 points. 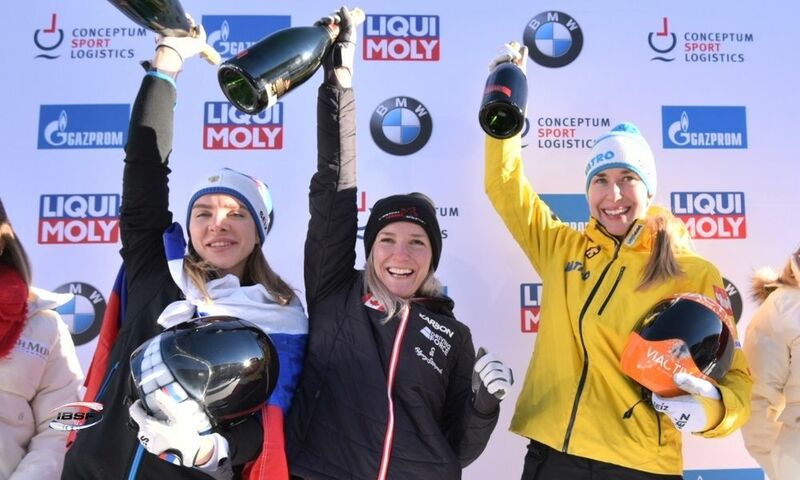 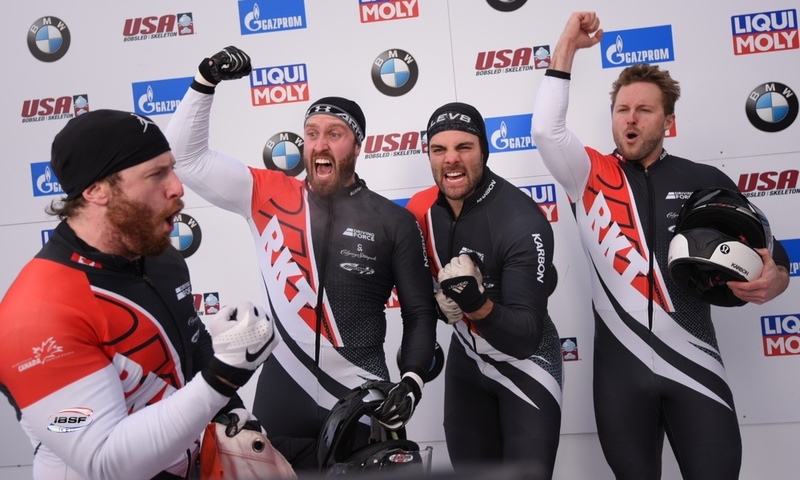 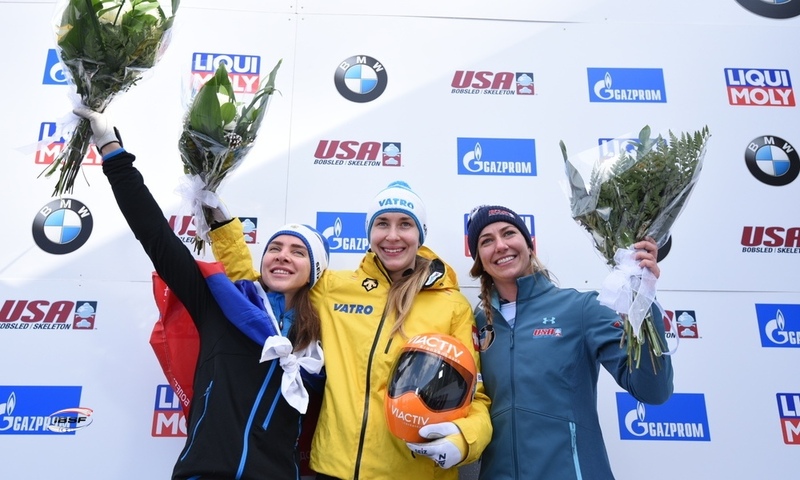 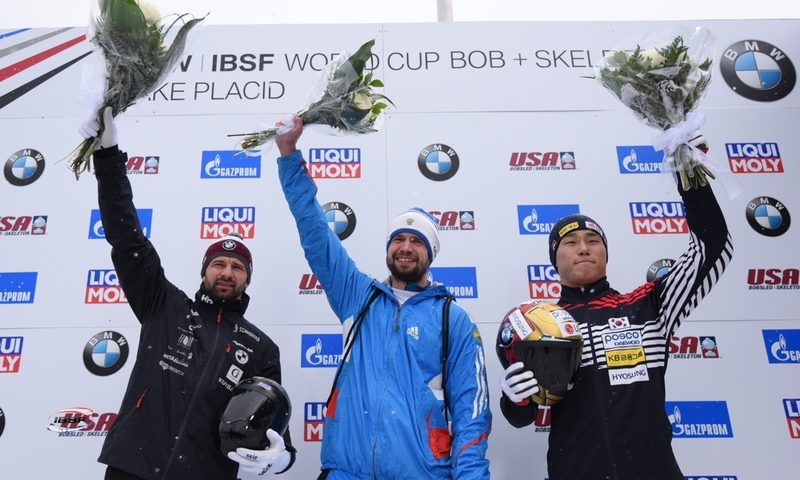 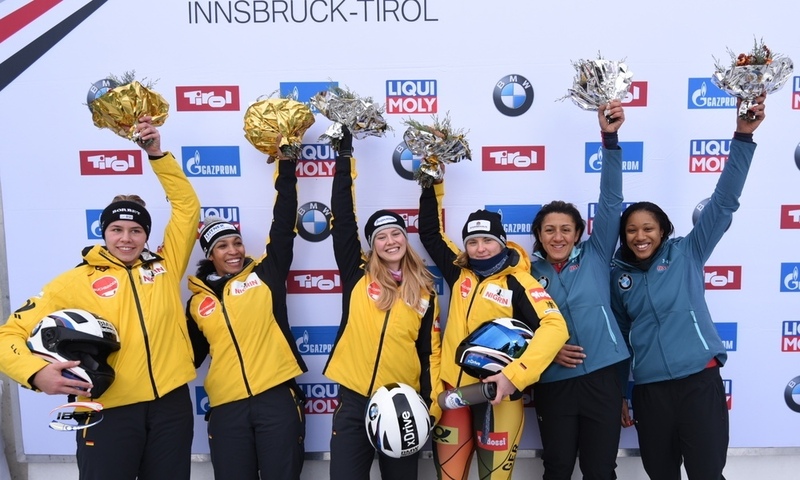 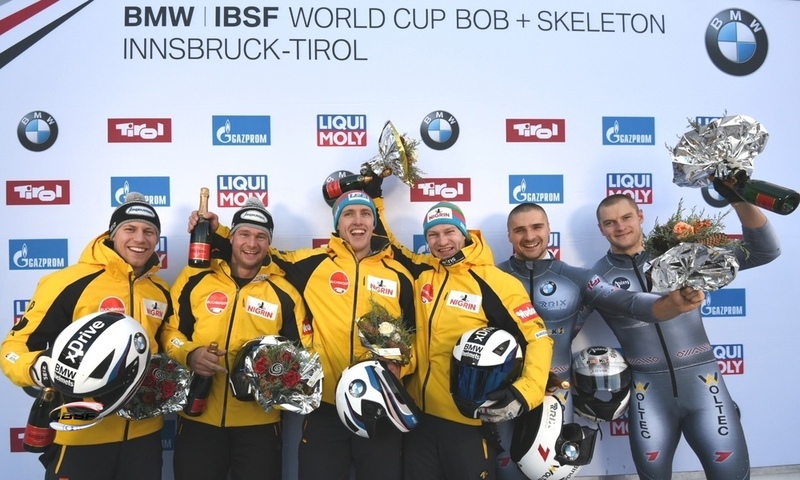 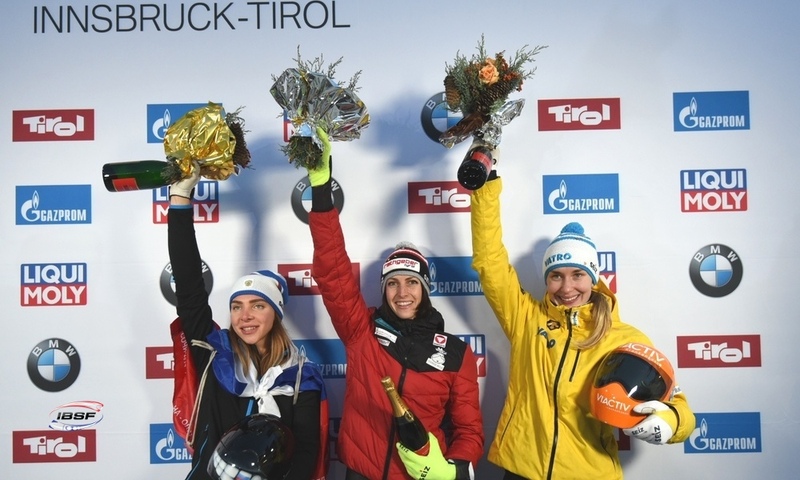 This win means that she is now the current holder of three major bobsleigh titles: Olympic Champion, European Champion and the first German to win the overall World Cup since Cathleen Martini in 2011/2012. 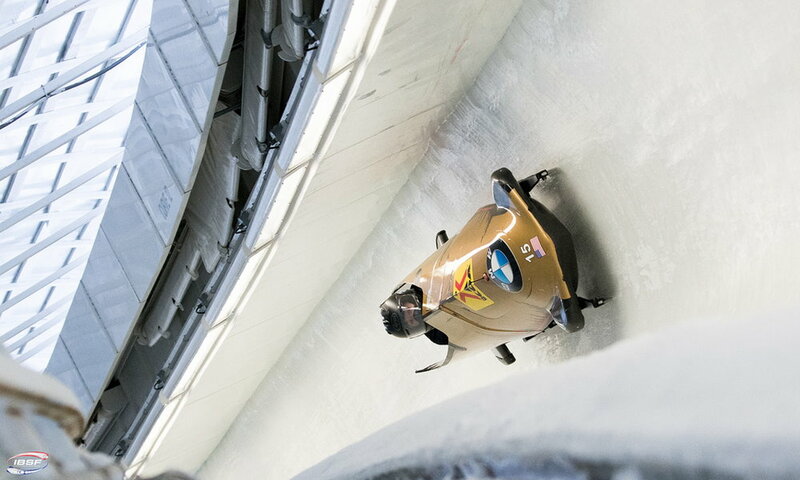 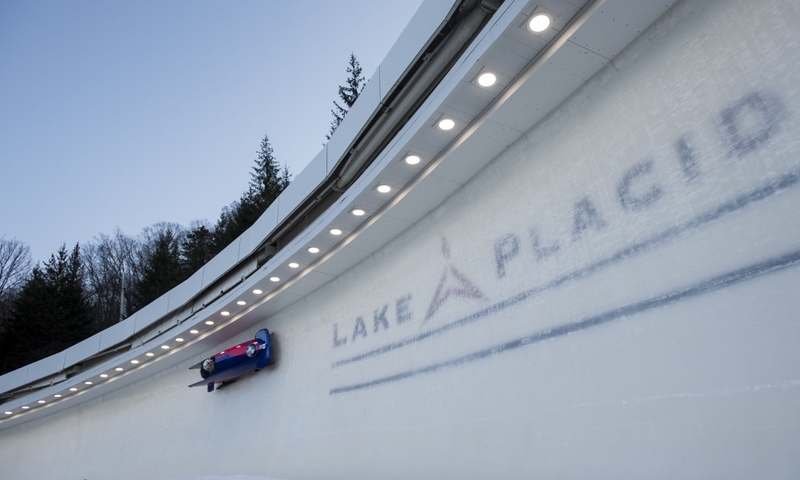 Elana Meyers Taylor of the USA currently holds the fourth title as the winner of World Championship gold in Königssee in 2017. 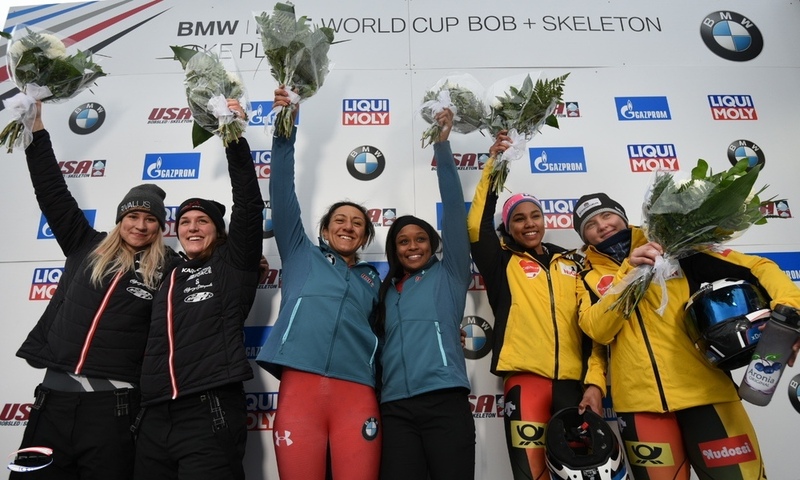 Meyers Taylor – who won the Olympic silver medal in both Sochi and PyeongChang – and her brakewoman Lauren Gibbs finished second at the World Cup finale in Calgary (0.31 seconds back), managing to climb up to third place in the overall standings in time for the last race with a total of 1470 points. 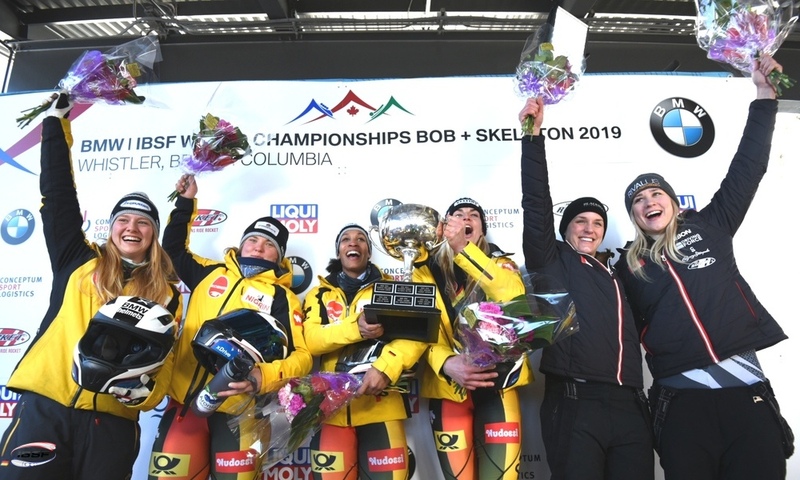 Third place in the final World Cup race in Calgary went to Stephanie Schneider/Ann Christin Strack (0.42 seconds back). 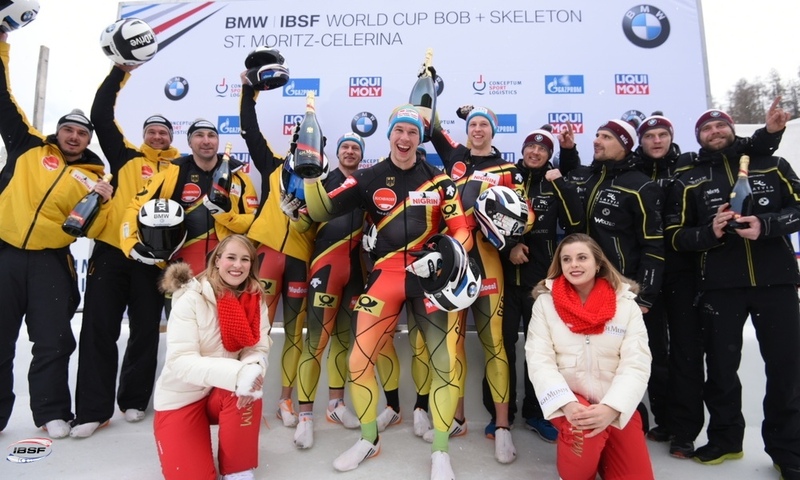 Stephanie Schneider therefore ended the 2018/2019 BMW IBSF World Cup season in second overall (1596 points). 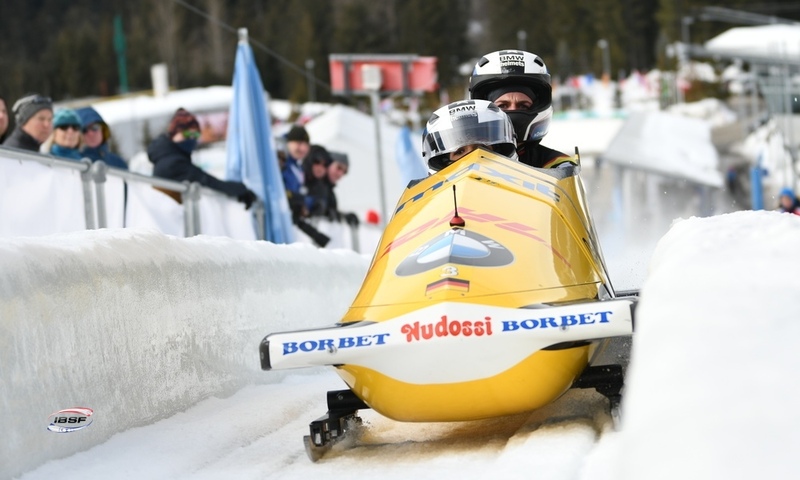 Junior World Champions Katrin Beierl/Jennifer Onasanya of Austria finished fourth in the World Cup finale in Calgary. 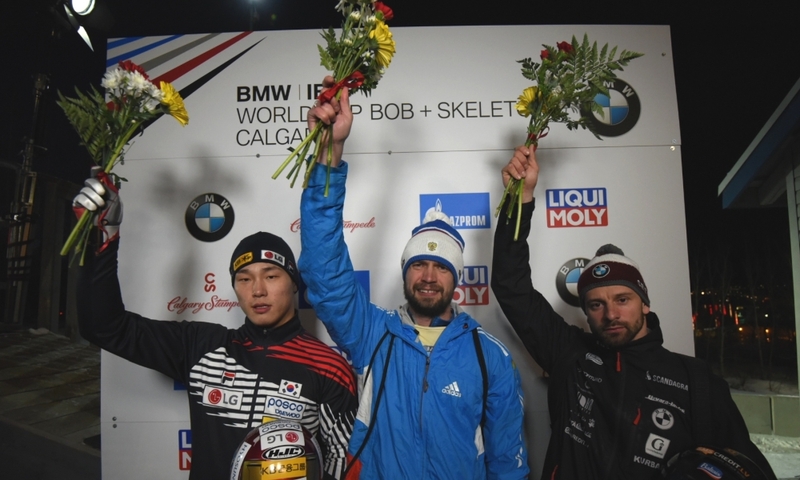 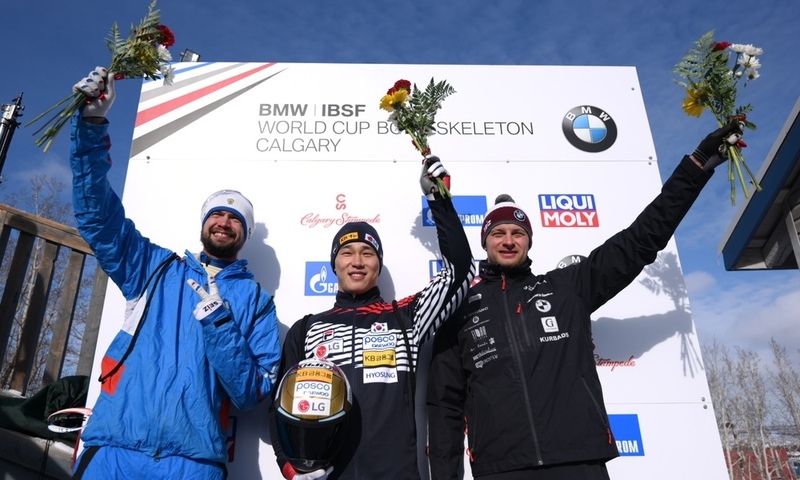 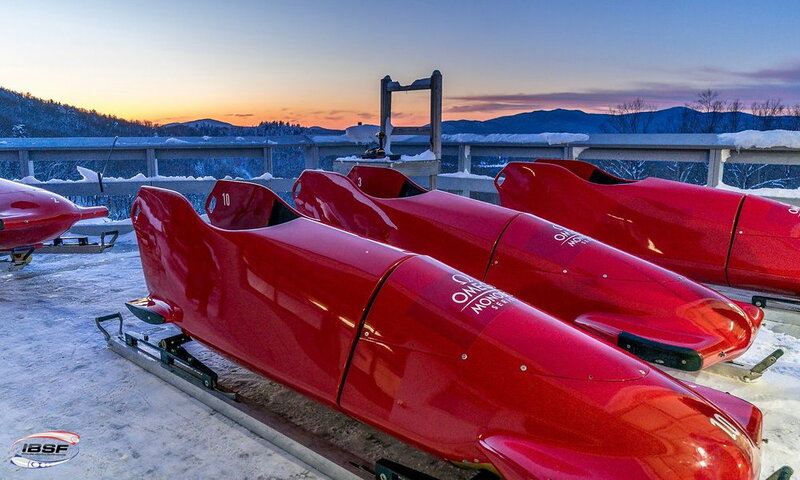 The race in Calgary also saw two pairings from China compete in the World Cup for the first time ahead of the country’s hosting duties for the 2022 Winter Olympics. 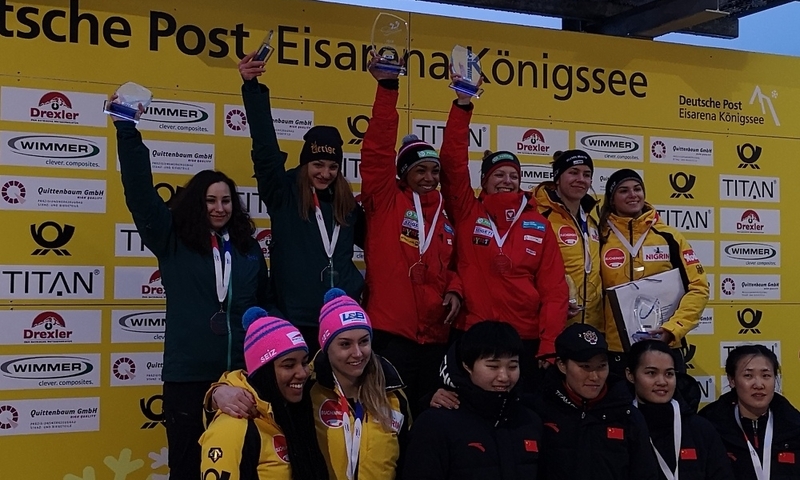 Qing Ying/ Yinghui Tan drew with the US pairing of Nicole Vogt/Nicole Brundgardt to finish in eighth. 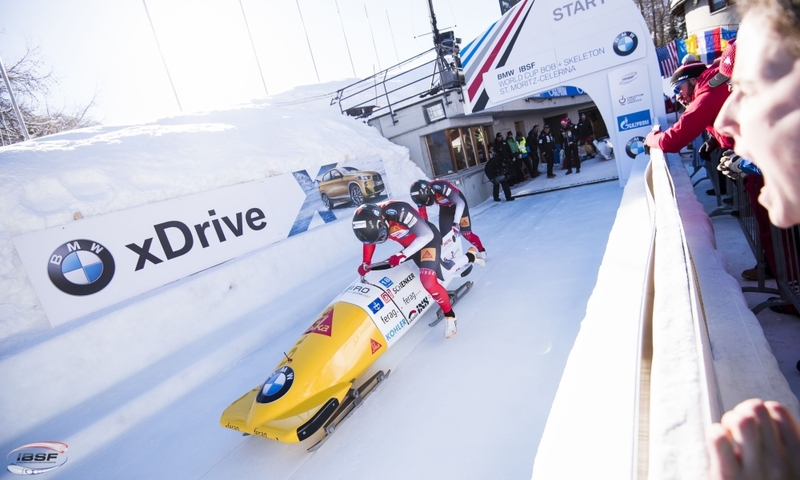 MingMing Huai/JiaJia Huang finished the race in 15.